Those who don't mind flying at the last minute this Christmas will snag the cheapest flights, according to data from airfare booking sites. This Saturday, December 22, is the most expensive day to fly this month with average fares 40 per cent higher than the December average, according to airfare aggregator Kayak. The average domestic fare for December 22 is $441, with December 23 not far behind at at $426. This compares to an average price of $357 on Christmas Day. Unusually, flying on Christmas Eve this year is either nearly as cheap or even cheaper than Christmas Day. Kayak had Christmas Eve flights at $14 more expensive than on Christmas Day for domestic and $61 more for international flights. Meanwhile, flight booking site Skyscanner's data found the average fare for Christmas Eve is $53 cheaper than Christmas Day. "It might be cheaper to travel on Christmas Eve this year as Christmas falls on a Tuesday and the eve falls on a Monday," said a Skyscanner spokesperson. "A hypothesis is that many people might want to fly before and leverage on the long weekend, taking the Monday off to enjoy a longer Christmas break." Kayak's international travel data found travelling on Christmas Day instead of December 21 will save you about $200, with prices at $1219 and $1413 respectively. So when is the best time to fly? According to Kayak, domestic flights departing between 8am and 10am on Christmas morning are the cheapest, with prices rising from midday onwards. For international flights, 5am departures are the cheapest, with prices rising towards early afternoon. For those willing to hold out to travel, prices drop dramatically after December 29 for domestic flights and December 28 for international flights. According to Flight Centre, to fly from Melbourne to Bali on Boxing Day and return on January 2, the cheapest fare is about $1450 return. Bringing your departure forward to Christmas Day and returning on New Year's Eve will save you about $220. Data from Kayak also reveals that booking earlier is not always better. For passengers travelling domestically to Melbourne, Hobart, Adelaide, Gold Coast, and Sunshine Coast, the best time to book is just a week in advance. However, other destinations may require more foresight. 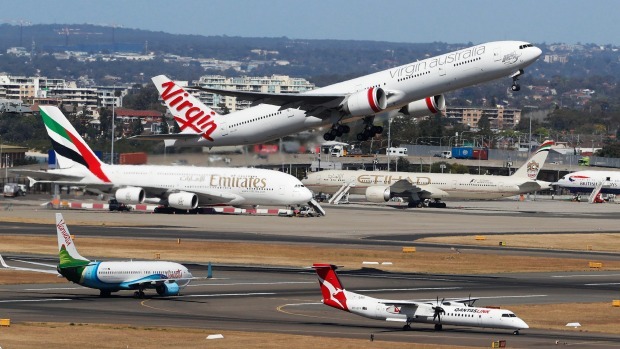 Passengers travelling to Sydney should book a month in advance, Cairns three weeks and Perth and Brisbane two weeks, based on the data.